End of the line sale. 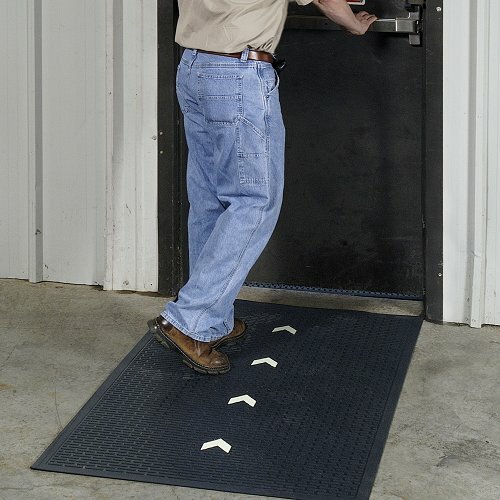 The Glow Hog mat is good for use in any facility where emergency conditions may cause a reduction in light for evacuation or after hour access. Made of 100% nitrile rubber to ensure long performance life. 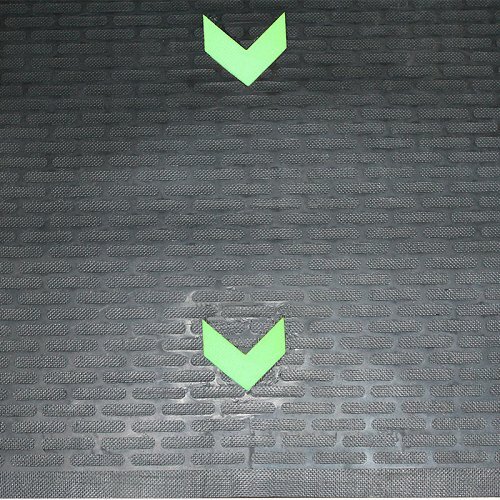 Recessed glow in the dark directional arrows glow for over 2 hours after lights go out and are recharged once lights are restored. The moulded slip resistant top provides a safe walking surface. 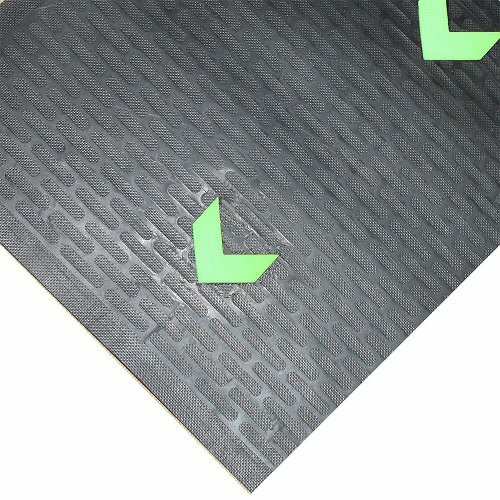 Green friendly rubber backing has 20% recycled rubber content. 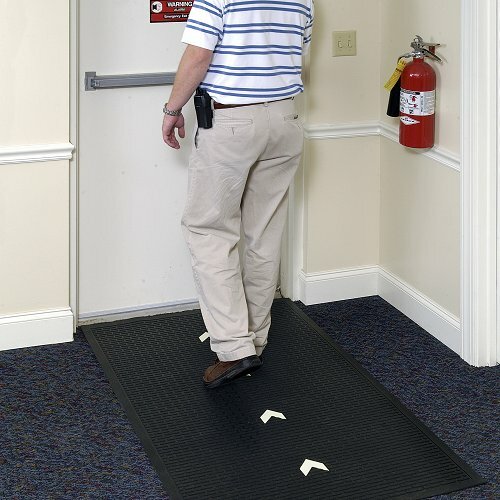 Certified slip-resistant by the National Floor Safety Institute.